Adjustment: 2 positions, 3 positions, 4 positions. 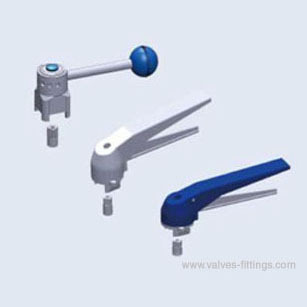 A type handle can be used with all butterfly valves and butterfly-type ball valves. Adjustable 15 degrees, 12-13 fixed positions. B type handle can be used with all butterfly valves and butterfly-type ball valves. C type handle can be used with all butterfly valves and butterfly-type ball valves.